You and your family will really be able to spread out, relax and chill here. With absolutely everything you all need, and a water view, this will be just the ticket. This is what holidays are made of. Our 4 studio units over look the soccer fields and a hint of the estuary. Perfect for a romantic getaway, or for a couple and one child. Fully self contained and very nicely appointed. Our fully self-contained tourist flats have everything you need. Great for families, they sleep 4 – 6 depending on the configuration. With sea views from your cosy little pad you can easily relax and unwind. This 2 bedroom unit stands alone and features modern amenities. Our deluxe standard cabins are great for the budget traveler. Dine alfresco style in your own outdoor eating area after whipping up an easy summer BBQ meal. For up to 5 people this is a great option for your relaxing camp ground holiday. Our standard cabins are just a wee room, double bed, jug toaster and small fridge. For some campervan fun look no further. We have 200 powered sites so there is plenty of room for you to meet up with friends and family. Enjoy our games room and main facilities block with spacious cooking and dining, and toilet, shower and laundry areas. If sleeping under the stars is your thing then look no further. Our beautifully sheltered and peaceful tent site area is close to the dunes to keep you protected. With the beach literally at your door step you will only need to roll out of bed to go for your morning stroll. • All cancelled bookings will incur a 20% cancellation fee. • If your booking is cancelled within two weeks of your arrival date, a 50% fee will be taken. • If your booking is cancelled with less than 48 hours notice, a 100% fee will be taken. • NO refunds of deposit for cancellations during peak time - 21 Dec - 10 Feb, Auckland Anniversary, Easter and Labour weekend. • NO refund will be made should guests alter or leave for any reason before this reserved departure date or late arrivals. • A deposit is required to confirm this booking and must be paid by the due date or you risk losing the booking. • Balance of account is payable on arrival. • Credit card details will be held in our secure pay booking system for 14 days after departure in case of damages or extra cleaning required. • Reduction in number of guests requires Management approval. 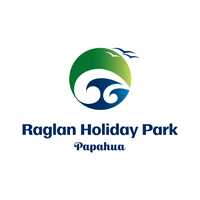 • *Minimum stay price applies at peak times for campers and all year for self contained units. i.e Auckland Anniversary, Easter Weekend, Labour weekend & 19 Dec - 7 Feb.
*Minimum stay price is 2 adults per site per night.